We have now been informed about the more official projected Opening Day rosters for the Buffalo Bisons, the New Hampshire Fisher Cats and the Lansing Lugnuts. I’ll stress here that the rosters are not final. I have a feeling that a move or two might be made between now and the opening of the full-season minor leagues on Thursday. One reason that I think that changes might be made is because, unlike some other teams, the Blue Jays’ minor league transactions haven’t shown up on MiLB.com’s transactions pages yet, meaning that either they haven’t reported or they haven’t been processed on the website. This means that, for the most part, the rosters shown online are still remnants from last season. There are two things here that I wonder about. The first is who will be the odd men out of the starting rotation. With Drabek, Nolin, Stroman and Romero almost guaranteed to be starters, you still have Hendriks, Jenkins and Walden who have a lot of starting experience both in the majors and the minors. I’ve heard that the Jays want to turn Walden in to a reliever and so the last spot in the rotation appears to be between Hendriks and Jenkins with Hendriks having an edge (in my mind). The second surprise, for me, is having Marcus Walden there. I thought he’d be back in Double-A but I guess if he’s going to be a reliever, the Jays will have room for him in Buffalo. Here is where I think a move might be made before the opener on Thursday. I have a feeling that the Jays might promote A.J. Jimenez to Buffalo with Erik Kratz starting the season in the majors. No surprises here. All of these players are minor league free agents that the Jays signed in this offseason (in the cases of Kawasaki and LaRoche, re-signed). Again, this was expected (although there’s one surprise that I’ll mention when I discuss the New Hampshire roster). I didn’t expect Tuiasosopo to get through waivers, but he did so he’s probably going to be playing first base and the outfield. Again, there are very few surprises here. Sanchez is headlining the pitching staff but it could be a very good staff as Copeland had a good spring and Lawrence and McGuire are both veterans. I have a feeling that if Ybarra starts off well, he could get moved to Buffalo quickly. His stuff was outstanding this spring. This is a big surprise for me. 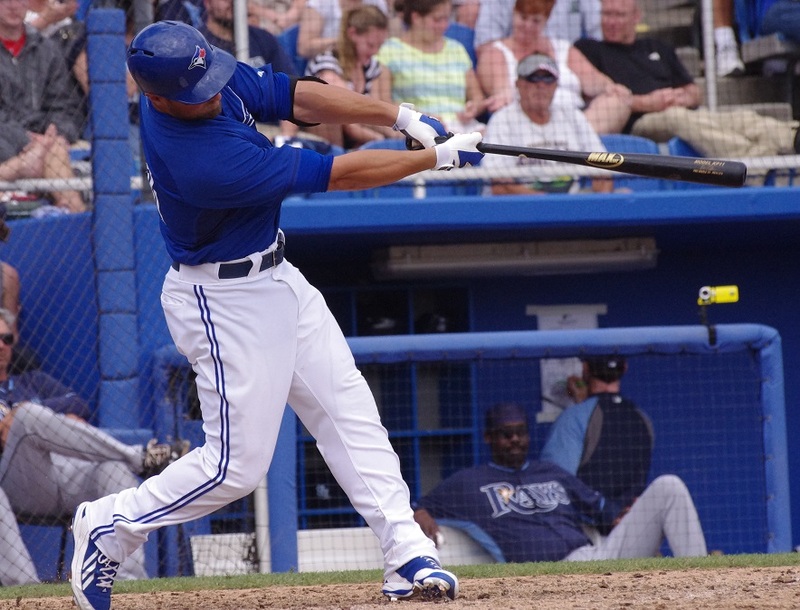 Aaron Munoz is an excellent catcher and deserves to be in Double-A and I’m thinking that the Blue Jays are going to keep Derrick Chung back in Dunedin for a little bit. There were a lot of defense-first catchers that were jockeying for spots in A-ball and Double-A and I think it’s great that Munoz gets a chance at Double-A. Kevin Nolan was nice enough to pose for this photo. For the starters, this is exactly how I saw things shaking out with one exception: I was expecting to see K.C. Hobson in New Hampshire. I’m sure that he’ll end up there by the end of the season but it’s going to be a very strong defensive infield with Jacobo/Schimpf, Berti, Burns and Nolan. I’m not sure why Carter is listed as an infielder; he’s also a catcher. Fermin is a big surprise because he’s a guy who hasn’t played above Lansing yet and Mooney was expected after a decent year in Dunedin after missing the previous season with a disastrous leg injury. 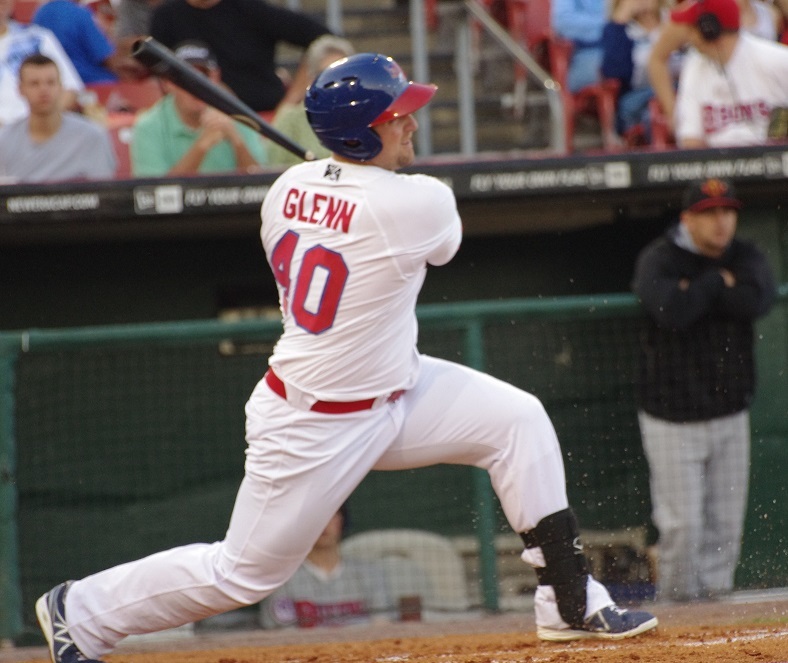 The surprise here for me is that Brad Glenn isn’t in Triple-A Buffalo. With the additions of Carroll and Tuiasosopo, there just wasn’t room in Buffalo but I think that Glenn has done nothing but rake in both levels and should eventually get a chance to get up to Buffalo this season. I think this is going to be a solid team in New Hampshire this year. The offense is going to be really good with almost all of the projected starters having Double-A experience already. At the time of this writing, the Dunedin Blue Jays hadn’t announced their projected rosters so I’ll move on to the . . . It appears (from the press release from the Lugnuts) that Tirado and Labourt will make up one piggy-backing pair while DeJong and Cardona will make up another. It also appears that Robson and Gabryszwski will start on their own. 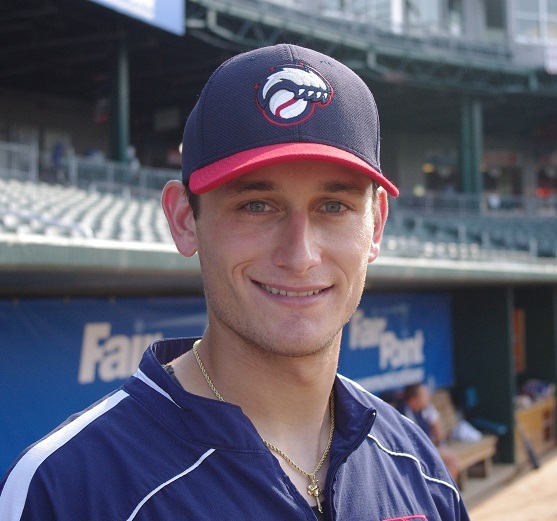 The fifth day appears to belong to 2013 draftee Kendall Graveman. I’m a little surprised to see Cardona here but reports since I saw him have been fairly good and I think the Jays want to see what he can do at a higher level. This is one that I called a while ago with Saez getting the bump from Bluefield to stay with a lot of the pitchers that he caught last year. I think that Nessy is going to have a much better year this year and could very well move up to Dunedin fairly quickly. Again, I felt that Thon would be the second baseman for this team and it turns out that that prediction has come true. 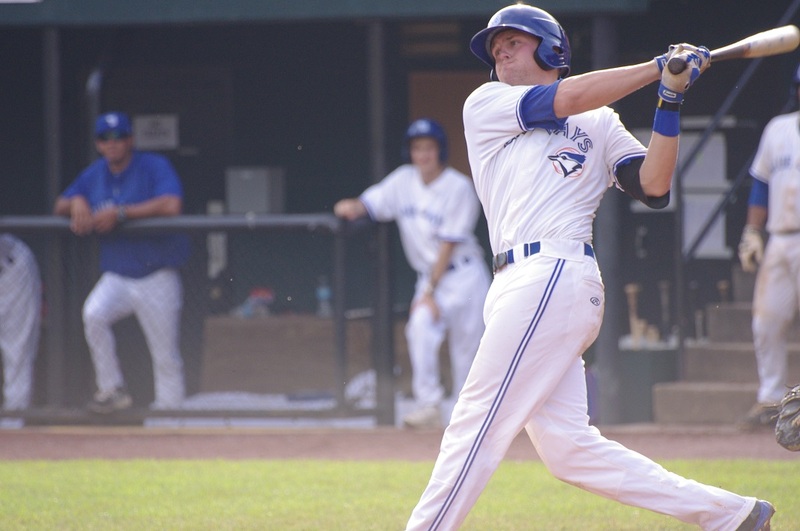 Thon is joined by former Vancouver Canadians teammate Justin Atkinson who is only 20. He may get reps at DH (or split time with Dean) but Atkinson is likely destined for a corner infield position and there are two higher rated prospects there that he’ll be sharing time with. Again, no surprises here really. 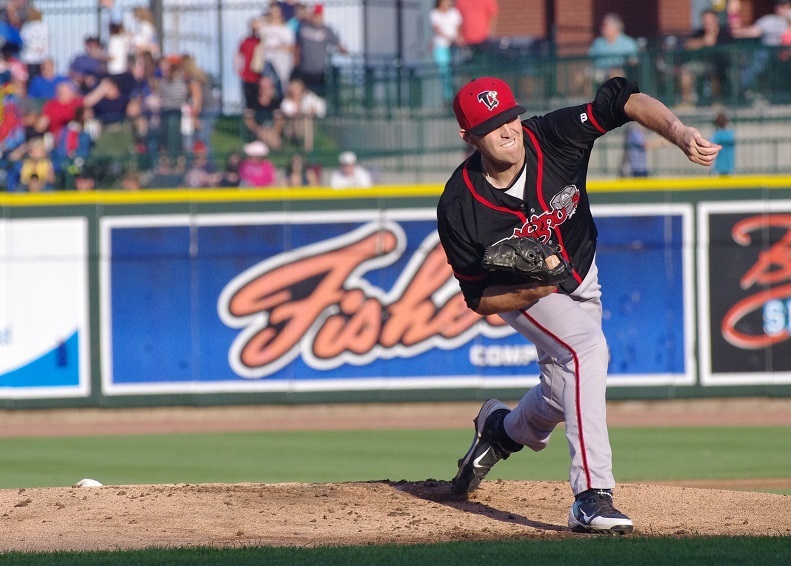 I thought Chaz Frank might have gotten the nod to start the season in Lansing but it looks like Davis, Loveless (promoted from Bluefield) and Parmley (from Vancouver) will get the promotions to join Carlos Ramirez who repeats the level. This is going to be an exciting club to watch full of talented players. Outfielders: Chris Hawkins, Marcus Knecht, Dalton Pompey, Dwight Smith, Jr.
Don’t forget about The 2014 Toronto Blue Jays Minor League Handbook, now available as an ebook at Smashwords.com for $7.99 US. It’s coming soon to Amazon, Apple iBooks, Kobo and other fine retailers. You can also purchase and preview the book at our Smashwords.com page! If you’re in Toronto, you can also join us for the Book Launch of the 2014 Toronto Blue Jays Minor League Handbook! Find all the details at our Facebook event page! You can also “like” us on Facebook!